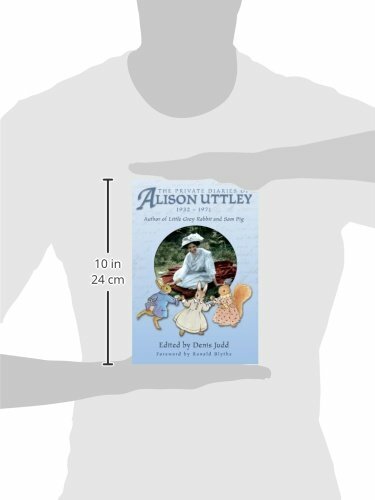 Taking to Alison Uttley is no easy task. Her character, as revealed in Denis Judd’s biography of 1986, is not appealing, showing her to be self-obsessed, cantankerous, and weirdly inadequate in all her personal relationships. (She may have driven her husband to suicide in 1930, the fate of her son too a couple of years after her own death.) So if Professor Judd has now thought to mitigate that impression by offering us a modest selection from her diaries (120,000 words out of what is said to be a total of six million) he has set himself a tough job. His choice of entries, drawn from the complete span of the record from 1932 to 1971, does nothing to enhance the portrait – and indeed he had printed many of the most telling entries in his earlier book. Petulance and vindictiveness prevail, only slightly offset by some lyrical passages on nature, and only made sufferable for this reader through the many entries dealing with her writing. Here there is an element of heroism as she sets about her profession (her first book was published in 1929 when she was 44 years old) and the details that the Professor vouchsafes us of her early slog and of her eventually very successful business dealings offer some relief from all the griping. What though is omitted? It may be that because this book is produced by printers and publishers accustomed to current print-on-demand methods it lacks all professionalism in its editing. We are not given any details about the relationship of the given text to the bulk of the diaries. Apart from a few exiguous parenthetic interpolations, no effort is made to explain to the reader the diarist’s location when she writes her entries or the significance of the main people and events that figure in them. Captions to the 34 photographs hardly equal a serious attempt to give the reader essential information – and if you want that you must nurture hopes that you’ll find it in Professor Judd’s other book.